Abel is an affordable fully integrated ERP system that delivers successful, full-visibility solutions across multiple companies / branches, locations, languages and currencies. 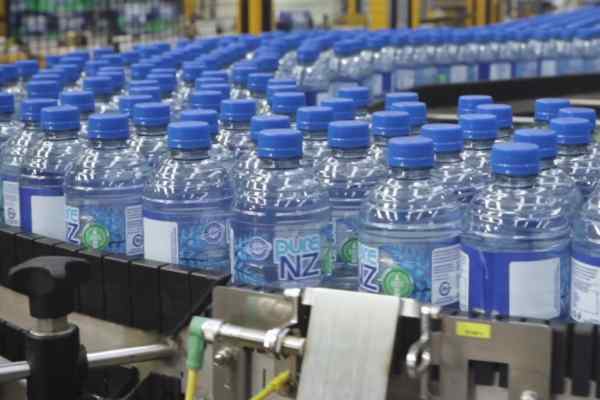 With customers in 13 countries, Abel has been meeting the needs of growing Manufacturing, Job Costing, Distribution and other businesses since 1996. Abel is highly configurable, adapting to your business needs and processes, providing you with the ability to tailor the functionality to suit your business today, and into the future. 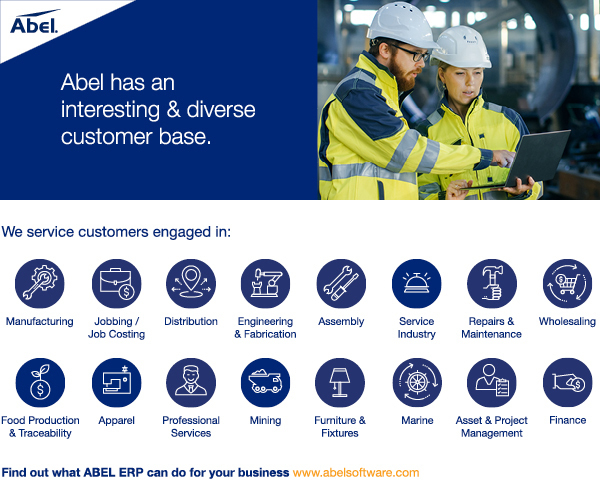 If you are moving up to an ERP solution, Abel is both affordable and extendable. Start with the functionality you need and adopt more of Abel’s extensive capabilities as your business grows and changes. Scalability: Abel is scalable through growing businesses. Our customers include niche manufacturers, publicly listed companies and privately held companies from a single location to multiple locations across different countries. Flexibility: Abel serves a variety of industries. Our customers are engaged in a wide variety of businesses, this gives us the breadth of experience to help your business. Configurability: Abel is highly configurable, so it can adapt to your business requirements and process flows. Extendibility: Abel grows with your business, start with the functionality you need and adopt more functionality as your business grows and changes. Customizability: Abel manages custom development in a separate schema, which provides for low cost customization of the user interface and system workflows, while still allowing you to keep up to date with standard Abel releases. International Capability: Abel supports multiple locations in different countries, languages and currencies. Traceability: Abel links all the transactions within a business process. You can quickly and easily trace any transaction back to its source. Efficiency: Abel understands the relationships between transactions in your business processes and so minimizes data entry by populating new transactions with relevant data from previous transactions, saving time and reducing errors. Affordability: Abel is the affordable alternative for businesses choosing their first ERP or for those switching from another ERP. Abel software provides two license options. Both options include all Abel functionality, access to new releases and upgrades, database management software and utilities*. * Database Management, Backup Utilities, Client Server and Remote Access capability are all included in the license fee so there is no need to purchase these expensive items separately to run Abel.